We have come to a critical place as educators–to embrace technology or try to beat it down by forcing kids to keep it in their lockers or not bring it to school. While technology should not distract from learning it can enhance it if we let it. Here are some Apple App’s to aide in teaching Family Consumer Sciences. 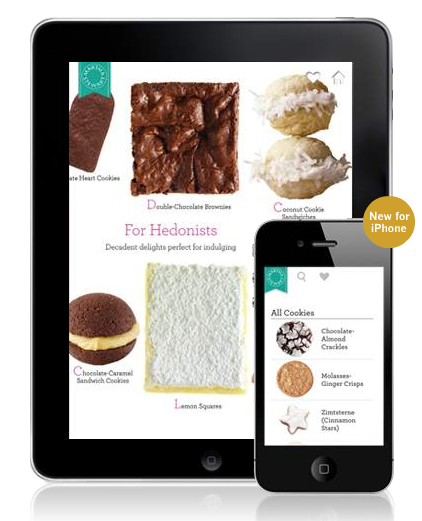 This is a beautiful cookie app from Martha Stewart. Get inspired by some of the best pictures and cookie recipes around. Ever wondered where your food comes from? If you have the iPhone you simply scan the produce’s bar code and it will tell you where the produce came from. This App has over 60,000 photos and 130,000 ideabooks, Houzz has the largest database of home design ideas on the net. Browse photos by style, room and location and save them to your virtual idea book — it’s the equivalent of clipping design magazines to a scrapbook — making ideas easier to search, save, and share. Experience Houzz.com as an iPad app and save your photos locally for offline access. 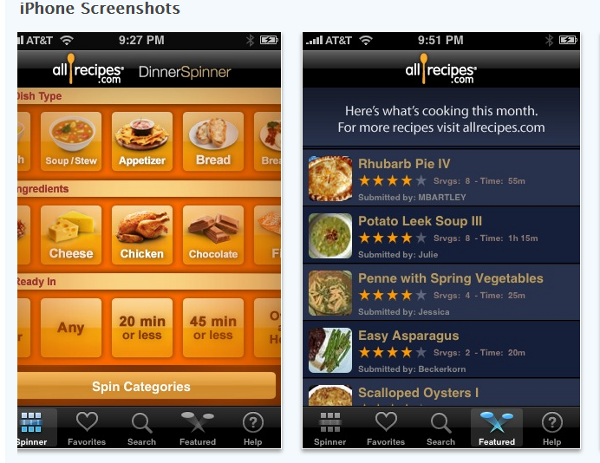 There are so many recipe Apps out there. This one looks the best so far….new ones come out all the time. Dinner Spinner is pretty neat helping stimulate your palate. Pro version available for $2.99. Thanks for posting these. We have looked far and wide for FACS apps! 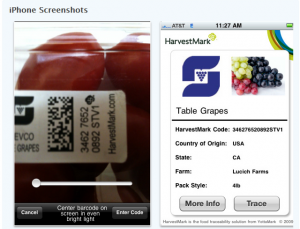 Fooducate is another GREAT app! It was free…there might be a charge for it now.